BEST CANDID WEDDING PHOTOGRAPHY & PHOTOGRAPHERS IN CHENNAI , INDIA. Applause For Your Creativity And Imagination. Thnk u guyz for ur wonderful effort which gave a lively feel on my bro's marriage from page 1. Ur team really deserves 5/5 with applause for ur creativity and imagination. Let god showers u guyz with blessing and offers all around. "Photography is a way of feeling, touching and loving"
It was really great having u guys at the function . All pics are great. Thanks a ton to the whole team. The Team Is Made By Friends And They Make Friends via Business. Surf many, book them because camera is same holding hands only different.They first make a personal bond, so to capture the real n casual of us. The team is made by friends and they make friends via business. Memorable Pictures To Recall Lovely Moments. They worked very hard and provided memorable pictures to recall lovely moments. YOUNG AND ENERGETIC TEAM OF SUNDAR CAPTURES THE EVENT IN A HIGHLY TECHINICAL WAY WITHOUT DISTURBING THE AUDIENCE. Awesome photography!!! was overwhelmed after seeing a few pics itself..waitin fr te remainin pics..they are so polite nd damn gud in extractin wat they need..thanq so much for givin us wonderful memories to cherish lifelong..
Beauty And Colorful Photography On My Big Day. Hi Sundar, thank you so much for ur great work. You and ur team have made our engagement day more memorable and fun filled. Awaiting more joy, beauty and colors on my big day. Good Work And Brilliant Team. One of the best photographers with excellent photographic qualities.Good work and brilliant team. I would like to thank Jaihindh photography. I may have rememberence of happiness always for excellency photography of my family function. Thanks a lot for creative work and your team hard work. Choosing Jaihind Photography is one of the best decisions I made for my wedding!! !Thank you so much Sathish Anna and team for capturing the best moments of my life!! !Sathish Anna and team make sure they satisfy the requirements of the customer and their support is awesome from day 1 till you receive your entire output of your wedding.. Special thanks to Muthu Anna who made me so comfortable during wedding and the entire team was very supportive during the entire journey..We absolutely love all the photos na waiting to see the videos ��� and iam definitely gonna recommend Jaihind Photography to all my relatives and friends.. Eagerly waiting to meet the entire ​team again for my Post Wedding shoot.. All the very best na!!! My Whole Family Are Very Much Satisfied With Their Photographs! It's a pleasure for me to share with you about Jaihind photography! The entire crew is so friendly, talented, punctual, and optimistic ! They work with really a lot of patience and creativity. They are so friendly and very much comfortable right from the day you approch them, during the photoshoots and even during the editing. We totally love their photographs and all the editing works in that..! If you're looking for the best photographers at affordable rate I would certainly recommend Jaihind photography. You can even suggest them your favorite poses (especially brides do have a lot of poses for their THE DAY! ) you can show them the samples and they will bring out exactly how you wanted! I and my whole family are very much satisfied with their photographs! I give them a big 'ol thumbs up for their best and hard work! I was looking for the best photography near Tirunelveli for my wedding and I got the best photographers. They are really too professional and the photo clicks were amazing. Wedding clicks were too good and the post wedding clicks are amazing. Thanks to Sundar & Team for the amazing Clicks Special thanks to Sathish Kumar for helping me with the plans and ideas. Jaihind Photography is one the best I come across in recent times! They have done a splendid job for my sister's marriage followed by post wedding photo shoot. I like their professional approch in managing the marriage photo and video shoot. I'm very impressed with their photography and the album has come out really fantastic. Satish and Abdul, I personally would like to extend my thanks and appreciation to both of you. I would highly recommend Jaihind and look forward to leverage your services in future as well. The Output From These Guys Are Great. I highly recommend jai hind photography for functions and outdoor photo shoot. The output from these guys are great. Ear Piercing Function And Candid Photography. I have booked jaihind photography for two days of my son ear piercing function and candid photography. Candid photos were superb . My son was one and half year old , beside that they took nice photos by encouraging him which helped us a lot . Creativity was good . The candid outcome was very nice in the album they delivered . Ear piercing Although we had the function in temple around 11 pm morning. They managed to take good photos. I was happy about the service they provide . They were on time and maintained patience all over the function . Good work by sathish and team . I would like to thank everyone in this project who made efforts to bring this event memorable . Nice work . I would recommend going candid photography which is their best. Excellent photography, the best team with lot of patience who captured all my precious moments perfectly! WORTH THE MONEY OF CHOOSING JAIHINDH PHOTOGRAPHY. THE BEST PHOTOGRAPHY IN MADURAI!! THE BEST PHOTOGRAPHY IN MADURAI!! They are amazing in their work. Right from enquiry, their response is quick and they help in everything. They come for the photoshoot at any time and with no delay. No delay either in delivering the photos or videos. Each one of them are very patient and they don't miss a single moment. They shoot as much pics as we want.:). Everything is beautifully captured!! I just love the albums :) Thanks to the entire team for capturing the best moment of my life:) Any future photoshoot, I will definitely take it with you :) You are simply the best !! 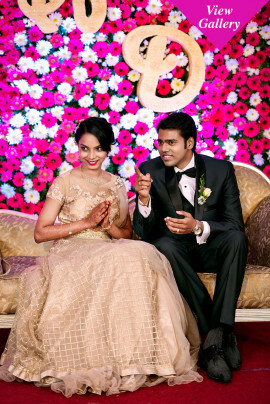 Hi Sundar and satish, thanks for u wonderful pics.. and awesome service.. u ppl make our day more special.. I would like to thank especially Abdul for his wonderful service and for his patience.. thank u soo much..
We came to know them through my friend. When we started enquiring about them.. wow! they are already friend of my wife... and that came as a surprise to us... Now I'm going to tell you about how Jaihind team started the journey as friends and become a family member with me through their eyes aka photography. Pre-wedding Photography It all started in the early morning of wee hours @ Mahabs thats when i meet them first as a team, where i don't know any of them personally..we got introduced formally and in a few seconds they were ready for the sunrise shoot. i being myself afraid of giving poses and the wee hours got me more nervous and conscious, that's when i heard sundar talking about the background and subject... (SUBJECT : oh its me and my wife).. After hearing that i got my comfort of posing. then our pre weeding photography started. 1. That's how a professional person works 2. Being friendly on a professional Note 3. They will give space and time for being yourself to bring the best out of you. 4. They will treat your Big Day better through their eyes.. For whoever Hiring them, your gonna work with the professional. So go prepared and dont be a dumb like me :D For the whole day they were with us taking photos and From Mahabs to Pondy with the smiling face specially you SAMI, ur smile is important for the team :D not showing any tiredness or discomfort and keeping you in ur comfort zone.. thats more important for good photos in my point of view. For whatever i told you here so far, you can look at my preweeding photoshoot. So dat u realize their photos talk better than me. Then here comes the wedding, As i told you already im not good at giving poses, the wedding day got me more excitement.. meeting up new people,lotta work to catch up at last moment,.. but these guys came for my rescue with the same smile and said lets rock this day.. being professional they know whats coming next on wedding sequence.They will be ready to capture all the moments, both in traditional and funny note. @ Abdul : When i saw u instead of muthu as a videographer on wedding i started worrying, why they changed the team!!!!. but when you started instructing us and showing the preview and explaining what you want and how we will look in the frame. that's when i realized they choose you right...as i mentioned earlier ur a professional too, but u were added in our friend list later bcoz, its ur fault you missed the prewedding photoshoot . :D Atlast the beautiful day comes to a end with their stunning photography. ( You can checkout my wedding album). Where you can find all the professional details. From pre wedding photoshoot to our wedding Jaihind photography travelled with us to capture the best moments of our life without losing any, That's how all members of Jaihind team transfered from being friends to part of family. @SUNDAR @MUTHU @SAMI @ABDUL Sathish, u explained me one month before wedding about Jaihind photography work. and im writing this today.. and its not stopping here.. Cheers !! Since my wedding was held at Madurai, I was looking out for candid photographers at Madurai. It was when I stumbled upon Jaihindh photography. The moment I looked through their albums, I decided this was the one. Immediately, we booked Jaihindh. They did an amazing job. The photographers Charan and Ganesh were very patient enough to capture the best candid ones. The Videographer did an excellent job capturing all the major events and traditions of a typical Sourashtra wedding. I felt bad for not booking for a candid video as the traditional video turned out to be the best. Also, we go all the photos and videos immediately after our wedding got over. The gifts, especially the wood engravings were liked by all. We are thinking of getting a much larger sizes wood engraving of our wedding photo. 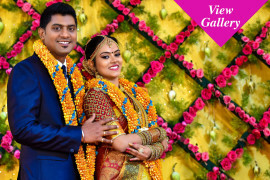 My husband and his family liked the photos and videos very much and so they decided to choose Jaihindh for my sister in law's wedding at Chennai. Thanks a ton Jaihindh, for capturing our wedding beautifully. I have seen my wedding video for many a times. It feels refreshing. Thank you jaihind photography team for capturing the wonderful moments of my marriage which even I don't remember happening on the day of wedding . Mr.Sunder MR.shahul mr.muthupandi and all others... Thank you very much . Your friendly nature and professionalism are awesome and you guys are going to go places for sure. No words...totally speechless.. excellent...!!!!! Let me start from sathish Anna, our experience with him was absolutely perfect.He suggested from the stage decoration till the dress choice. Thx u so much Anna. Sundar You can tell him that he really loves his job especially his candid clicks was awesome and the editing work Great. Abdul kapoor and the whole team did a awesome job to give the best memory. Coming to our post wedding shoot it was like trip, the team was very friendly and the whole day of Photo shoot was fun. My husband don't like to take pictures but now just the opposite he is very happy after seeing de pics. Waiting to see the videos and the album. Thanks again guys! You made our big day so special with lots of memories.!!!!! All the very best!!!! Love Your Experience With Jaihind Photography! We had so much fun getting our marriage and outdoor pictures taken by Jaihind Photography. They are professional, creative, talented, very reasonable, and so easy to work with. The pictures were shown to us almost immediately after the photo shoot. They all turned out beautifully! Each picture perfectly captured the emotion of the day! You will absolutely love your experience with Jaihind photography! Copyrights © 2018. Jaihindh Photography. All Rights Reserved.